Some mystics today think simply by turning within and drumming up an intense spiritual experience, they will at last attain union with God. Some spiritual warfare schemes sound more like science fiction than redemptive history, attempting to identify specific demons over particular regions and vices, breaking generational curses, and finding the devil under every rock. But this misunderstands the nature of spiritual warfare. 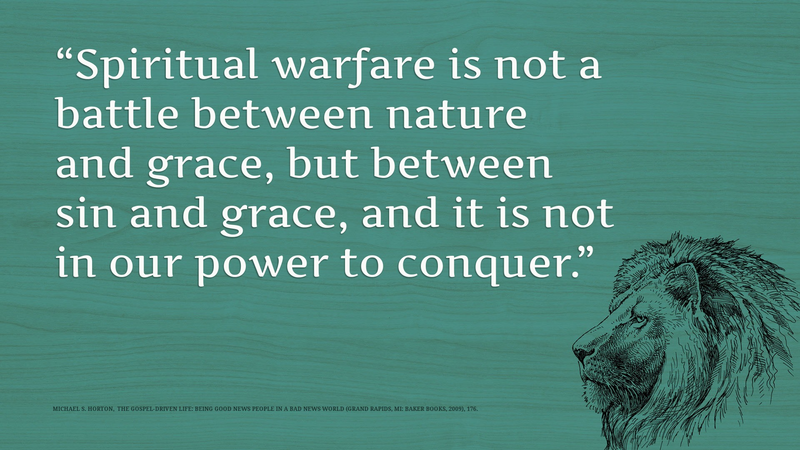 It is not a battle between nature and grace, but between sin and grace, and it is not in our power to conquer. Michael Horton, The Gospel-Driven Life: Being Good News People in a Bad News World (Grand Rapids, MI: Baker Books, 2009), 176.